When you’re ready to make international getaway dreams a reality, book your Payless car rental in Mexico and explore the country at your leisure. It doesn’t matter if you’re traveling for business or with the whole family in tow, Payless has the perfect car to fit your needs. A big name brand known for their superior product and keen attention to maintenance, Payless offers everything from compact convertibles for romantic getaways to family-friendly SUVs for when you need to bring your kids along. 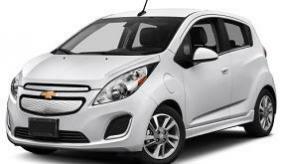 Browse through our selection of top-notch Payless Mexico rental cars today right here on CarRentals.com. We have the perfect vehicle in stock to make your trip to Mexico truly unforgettable. Reserve your Payless rent a car in Mexico and take advantage of our cheap deals and discounts. We have the best prices around in addition to premier vehicles, so what are you waiting for?